An open letter to Melania Trump. Nice speech last night. Take heart in allegations that portions of your speech were plagiarized. You are in good company. Thomas Jefferson was accused of plagiarizing John Locke in drafting the American Declaration of Independence, the most famous document in American History. In my estimation, this caused no significant nor lasting damage to his reputation. Nor will similar allegations have any lasting affect on you. In my opinion, you plagiarized no one, the thoughts were your own. You were speaking to universal memes of American Culture. Memes of Natural Rights like self-ownership, self-determination and Individualism and traits of American rugged Individualism like self-sufficiency, self-reliance, tenacity and perseverance. When Jefferson was confronted with the allegation of plagiarizing John Locke, he responded along these lines. There are only so many ways you can state certain absolute truths relating to Natural Rights and Natural Law. (Proof our Country & Constitution founded upon Natural Law http://bit.ly/1PbViKr) The English language is finite and if someone has succinctly well defined and explained a fundamental concept its likely a person approaching the same fundamental concept on their own with a fresh perspective will use some or many of the same English words as those who first broached the topic before. Further, as a legal immigrant learning “English as a Second Language” (ESL) you may have a smaller working English vocabulary than someone who has a life time of speaking English as a first language. Brains tend to remember “concepts” not words, and convert concept to words to communicate to others. Without 13+ years of cultural immersion on American Memes in American schools, your brain drew upon words it knew and understood, and/or suggested to it by others, to express your thoughts. And experience I am pretty sure is common to all immigrants to America. “that being all equal and independent, no one ought to harm another in his life, health, liberty or possessions.“. In my humble opinion, the memes of American culture you were discussing (self-ownership, self-determination, self-reliance, self-sufficiency, tenacity and perseverance), being themselves based in Natural Law and Natural Rights, share the same characteristic of having a limited number of ways and words which adequately and/or magnificently express them. I believe the more important point to be made is that you, as immigrant to America, have embraced them and can express them in a manner all Americans can understand and appreciate. And we can further extrapolate that since you came to America as a legal immigrant speaking English as a 2nd language your knowledge of these American ideals and memes is largely attributable to those you chose to surround yourself, including and especially your husband Donald Trump and the Americans you two chose to surround yourselves with. Kudos! 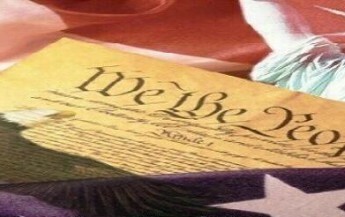 In my humble opinion you should stand proud in the company of Thomas Jefferson as two people who were merely trying to express their interpretations of various aspects of Natural Law, Natural Rights and American exceptionalism, but whose detractors chose to ungraciously ridicule and/or malign you. I would argue that your and Jefferson detractors should have instead celebrated the aspects of Natural Law, Natural Rights and American Exceptionalism for which you were both expressing your understanding, love and admiration. This was the object of the Declaration of Independence. Not to find out new principles, or new arguments, never before thought of, not merely to say things which had never been said before; but to place before mankind the common sense of the subject, in terms so plain and firm as to command their assent, and to justify ourselves in the independent stand we are compelled to take. Neither aiming at originality of principle or sentiment, nor yet copied from any particular and previous writing, it was intended to be an expression of the American mind, and to give to that expression the proper tone and spirit called for by the occasion. It is unfortunate that your detractors chose to divide the country with their criticism for their own personal gain, rather than unite the country and make America Great Again by joining you in your celebration of Natural Law, Natural Rights and American Exceptionalism. In my humble opinion, there are too many people placing their own selfish personal gain above the best’s interests of our county. Oh No, Did I just Plagiarize JFK? Good luck with the election. 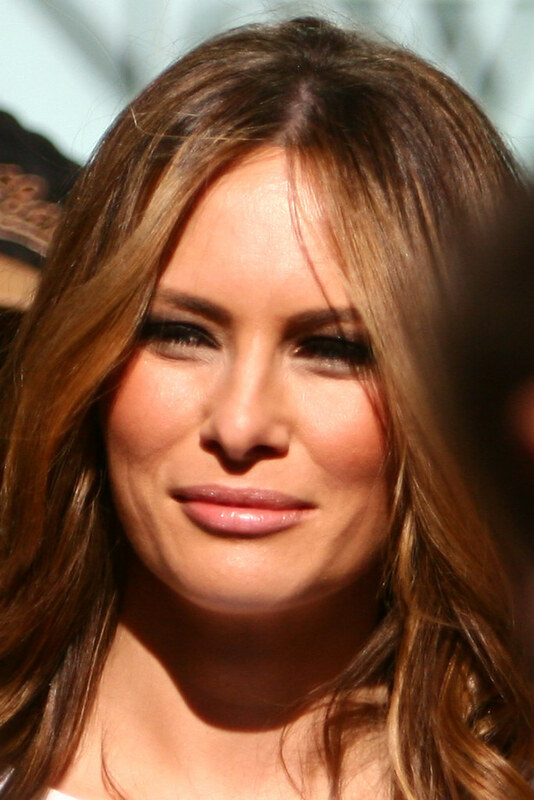 I think you would make a great First Lady. Psst, tell you husband I need clarification and more details of his vision before I can switch from being a “Against Killary” voter to a “For Trump” voter.